Garrone's thriller comes to UK cinemas in October. 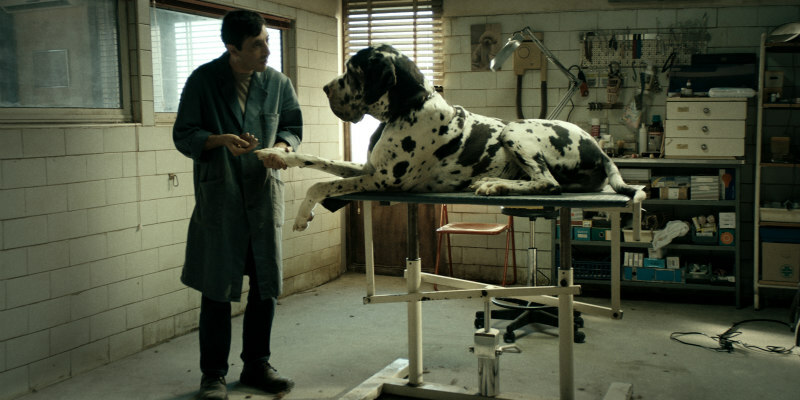 Marcello Fonte picked up the Best Actor award at this year's Cannes Film Festival for his lead performance in Dogman, the latest gritty drama from director Matteo Garrone (Gomorrah; Tale of Tales). Fonte plays Marcello, a timid dog groomer with a sideline in cocaine dealing in a small Italian town dominated by Simoncino (Edoardo Pesce), a violent ex-boxer. Dogman is in UK cinemas and VOD October 19th. Check out the new UK trailer below. Marcello is a dog groomer who wants two things, to look after his dogs and take his daughter on exotic holidays. But to fund this lifestyle he runs a side business which has more unsavoury clientele and he soon finds himself involved in a dangerous relationship of subjugation with Simone, a former violent boxer who terrorises the entire neighbourhood. When Simone exploits him too much Marcello must make a crucial and potentially dangerous decision in order to regain his dignity.